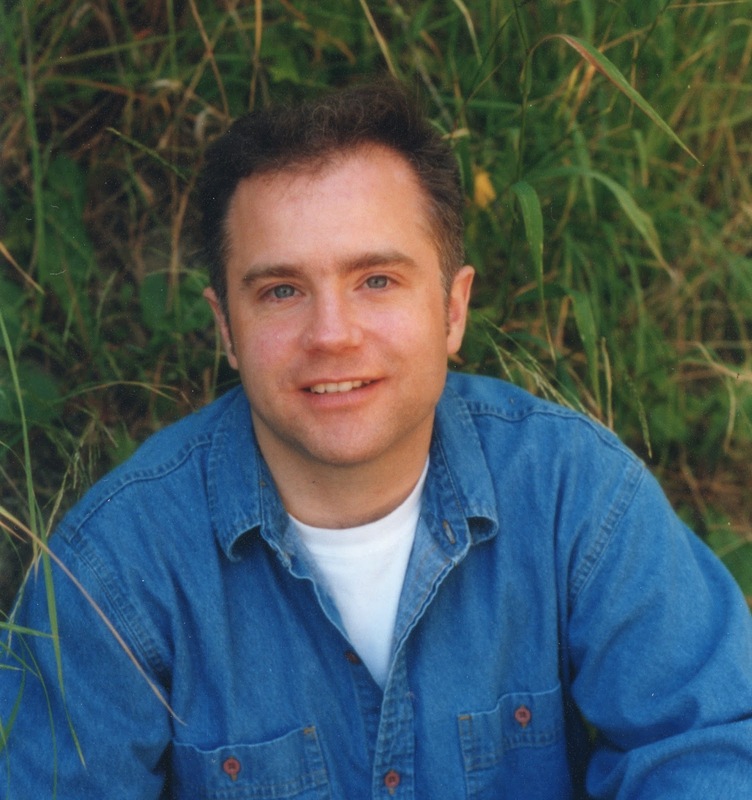 I'm so pleased to introduce my guest author this week - Chad Strong. We first "met" in an online forum many years ago, and he's not only an all-around nice guy, but we both have stories in the Short-Story Anthology Rawhide N' Roses. He's also recently ventured into the self-publishing world, and re-released his award-winning book, High Stakes. Don't forget to comment at the end for a chance at an ebook copy of his book! Thanks for finally being a guest on my blog, Chad. Please introduce yourself. Tell us a little about the person behind the pen. Hi, Peggy! Thank you for having me on your blog! I think the last project we both contributed to was “Rawhide’n Roses – a Western Anthology”. A little about the person behind the pen … I’m Canadian, born and raised in western Canada, though I currently live east of center. I’ve spent most of my life with horses. When I didn’t have a book in my hands, there’d be reins – or a manure fork – instead. I’ve always been fascinated with the era of the Old West, feeling like I was born a century or more too late. I still love the old western movies with John Wayne and the newer ones, from Dances with Wolves to Young Guns, etc., and can’t wait to see the more current ones I haven’t got to yet! I enjoy short stories as well as novels, and my favorite western author is Matt Braun. Why did you decide to write a western historical romance? What is the appeal? It was sort of an accident. I hadn’t set out to write a romance per se. I’d set out to write a western/historical with a romance in it. But as the story took shape, the romance part started becoming more and more essential to the plot. I do a lot of research. I love learning and I love history and I want to get it right if I use it in a story. Like most writers, I read a lot of books – from the library, to treasures found at second hand book stores, to articles on the internet. (Though I had to be dragged kicking and screaming into the 21st century). The discovery of so much fascinating stuff can be addictive, so many side trails to explore! It takes an effort of will to narrow my focus to the bits that actually belong in a particular story. What is the best comment you ever received from a reader? The best comment about High Stakes came from a fellow who’s a self-proclaimed non-reader (he usually prefers to wait for the movie version) who said he couldn’t put it down and he missed it when it was all over. Some months later I heard from him again, and he told me he was reading it again. Wow – that blew me away! Mostly plowing. Generally, I have some idea of where I want to go with a story. I’ll jot down notes about characters or images or feelings or scenes, and just start writing. The first draft grows rather organically, and after that, during the rewrites, is when I start looking for the logical plot and discovering themes and linking and rearranging things to hopefully come to a meaningful whole when it’s done. Can you tell us a little about your current work, High Stakes? Is there a story behind the story? What sets your heroine, Mary Andrews, apart from all the other women in your hero’s, Curt Prescott’s, life? Why is she perfect for him? Mary is perfect for Curt because she challenges him in ways he could never foresee. Mary is who she is, and expects, naïvely or otherwise, the same honest presentation of themselves from others. Curt grew up on the streets and learned the hard way that not everyone can be trusted. Now, he’s an adult, and a professional gambler. Characteristically, he tends to present himself in whatever manner will give him the upper hand. At those times where I just can't seem to get what I need out onto the page, I find it helpful to do something physical, like take a walk, or work on something completely different, something to switch gears and allow my mind to let go of whatever it's stuck on. Usually, I can then bring a fresh perspective back to the work. Mary grasped Curt's arm. "This is wonderful. I'm having such a good time." “I’m glad.” He took the hand that grasped his sleeve and knitted their fingers together. 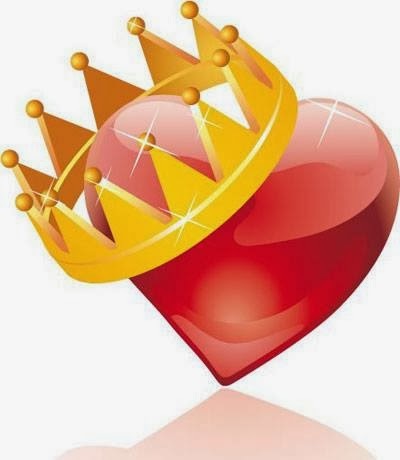 Mary smiled and squeezed his hand. He felt that tingling sensation again. They walked another half-mile to a place where the banks were less steep and the trees fell away for a small grassy meadow. The sun was high in the western sky and warmed them the instant they stepped into the open. The meadow was still surrounded by dense forest, still very private. “Shall we sit awhile?” Curt asked her. She nodded and they sank down onto the thick, soft grass, facing the creek. Mary drew a deep breath of the sweet spring air and hugged her up drawn knees. “Feeling better?” he asked, leaning on his left hand and propping his right elbow on his right knee. She blushed, and bit on her lower lip. The intensity of his stare drew her eyes to his and locked them there. He lifted his hand and touched her hair. She stiffened, and held herself frozen. He leaned over the inches between them and placed a soft kiss on her temple. He heard her sharp intake of breath. “Are you afraid of me, Mary?” he asked, his breath fanning her ear. “N-no. That’s silly.” She hugged her knees tighter. She bit on her lip again, then released it as she met his eyes once again. Holding her captive with only his gaze, he pressed a brief, warm kiss to her lips. She stiffened again, holding her breath, and did not exhale even after he’d drawn away. He cupped her cheek with his palm to keep her face toward him. “That was nice,” he said softly. She shivered, at last breathing out, and he sensed that one more kiss would send her running from him. He sat back but held her hand firmly in his. He could feel her anxiety in her rigid fingers. Gently, he stroked them, until at last she relaxed and met his eyes once again. There was uncertainty in them, a little fear, too, but there was also a small spark of awakened desire. He believed she was as close to wanting a man as she’d ever come. In time, she would want him beyond all reason, and she would surrender to him. And the spark he saw made him wonder if there was more passion hidden beneath her shy, quiet exterior than he had so far given her credit for. He was definitely going to find out. I’ve recently released a couple of western short stories in ebook format on Kindle, Kobo, Nook, etc. My next novel is actually a young adult fantasy. I enjoy reading multiple genres – mostly western and fantasy – so I guess it’s no surprise I enjoy writing across different genres as well. I’ve had a few short stories from each category published, and have plans for some western/fantasy combined. Does anyone have any questions or comments for me? I’ll be sending a free Kindle ebook copy of High Stakes to one reader who comments. And many other ebook retailers. As an author, it is par for the course that I will receive negative reviews. I do not expect everyone to share the same opinions or tastes. Even the best authors in history cannot please everyone. We are supposed to take negative reviews with a grain of salt and remind ourselves that our skin is thicker than the average human (it isn’t, but that’s all part of putting our work on display for the public). Never, ever, should we authors respond to reviews. While negative reviews are sometimes (ok, always) unpleasant to swallow, they can also offer great learning opportunities for an author. After all, a few bad reviews early on when Heart Song was first published made me realize there was something wrong with the book, and I was able to go back and fix those errors, and I have those negative reviews to thank for it. I do wish sometimes that I could have the chance to talk to reviewers to get more clarity on what they meant. Typically, bad book reviews, for whatever reason, are written in anger and made to sound as if the book's author intentionally wrote something to personally upset the reader. 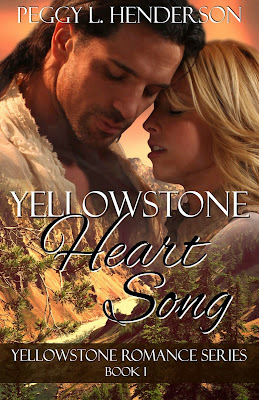 I have been genuinely surprised by some of the negative reviews for Yellowstone Heart Song, not that the book receives negative reviews, but specifically the criticism of my heroine, Aimee Donovan. I assumed people who read the book might understand about wilderness survival and backpacking, or if not, at least think about it a little and put themselves into her shoes under the conditions and situations in which she found herself. In my mind, she is an independent, strong-willed, and smart young woman. She survived in a time and in situations that most of us probably never could. One thing I’ve learned in my four years of writing and publishing is that readers will take away from a story what comes from their personal experiences, and that they will perceive characters and plots based on their own lives and expectations, rather than putting themselves completely in the character’s world. (For instance, if someone has no experience with hiking or camping, or interacting with a different culture, relating to what these characters undergo may not be possible. I get that.). Part of the enjoyment of reading can be escaping to lands and adventures that we would otherwise never be able to experience. However, it can be overreaching for us to assume a character SHOULD act or behave in a certain way if we have not walked in their shoes. My stories are completely fictional, however I try to base most of the interactions on reality. I do an enormous amount of research, and work very hard to try to allow my readers to immerse themselves in the setting. Obviously, time travel is not something any of us have experienced (if you have, please meet me last Tuesday at the coffee shop by my house…I want to interview you! ), but the relationships that develop and the way people interact with each other and their surroundings is timeless. The purpose of this blog post is to give my perspective of Aimee Donovan, as the creator of this character. If a reader does not like her, for whatever reason, that is, of course, their right. We all gravitate toward certain personalities, and clash with others. This blog entry is my attempt to better explain Aimee Donovan as I see her, and how her character developed. She is based on someone I've always admired, fits that person's physical description (petite little blonde), and also her independent, determined, and can-do-it nature and attitude. As a character, Aimee is not an unrealistic, super-hero, ninja warrior princess. She is someone I (and hopefully many of you) would love to be. The man in her life doesn’t define who she is, but shows that, in a relationship, sometimes we all need a little help. CAUTION: THIS POST CONTAINS SPOILERS. In several reviews, Aimee has been accused of being immature and even TSTL - “Too Stupid To Live”…a bit over the top for a criticism, no matter the circumstance, don’t you think? Right away, this makes me think whomever wrote this review cannot be someone who is typical of my reading audience. From those reviews, I’m also understanding that the reader who feels this way about her probably has never been out in the wilderness, gone backpacking, had wildlife encounters or “roughed it” out there (And most definitely, none of them have ever lived in another time ;-) ). While I can’t say that I’ve ever time traveled, I do know what it’s like living in another country and having to adjust to another culture, so that’s where I drew my experience and Aimee’s actions and behaviors after landing in another time. I moved to the US from Germany, knowing very little of the language, and certainly none of the American culture. It took me months, if not years, to adjust to different cultural norms. During that time, I didn’t instantly behave and talk as an American. It was a slow process to learn the differences. So, while I learned and assimilated, I made several cultural mistakes along the way. The same is true for Aimee when she ended up in the 19th century wilderness. Although she was an experienced backpacker and could adjust to her surroundings fairly quickly, she had absolutely no experience with Native American encounters or people of the nineteenth century, so those were not things she would really consider. She couldn’t simply go from her twenty-first century mindset to that of a nineteenth century woman. She’s never lived in that time. The adjustment had to take place over weeks and months, not instantly. I’d also like to mention that one of the things that drew the hero, Daniel, to her – even if it made him angry at times initially because he was still trying to figure her out – was her different behavior that set her apart from other women. When Aimee arrived in the nineteenth century, she did not know that she would be time traveling. She had been told that she would be, but she didn’t believe the man who told her he could send her to a different time. (If she had, I think I would be getting comments that her believing a complete stranger who said he could send her to the past would be utterly unrealistic). She went along with an old man’s ramblings, and was completely taken off guard and by surprise when she, in fact, did end up in the past. I, for one, would have freaked out! Aimee kept her wits about her, and immediately formulated a plan on what to do. I believe this shows strength of character, not immaturity. Survival experts say there are many things that challenge a person in the wilderness, and being stranded alone can crush the spirit of even the most seasoned adventurers. For the next three days, she managed to navigate through the wilderness and build fire and shelter and keep herself alive. My guess is that most of us would not have managed that, or kept a level head. Anyone who has gone hiking in bear country knows how easy it is to stumble across a bear without even realizing it. I’ve encountered bears on three separate occasions, twice without knowing initially that they were there and how absolutely lucky I was that nothing happened. The encounters were extremely close. I’ve also walked up on animal carcasses during hikes, and not realized it until I was close enough to see those carcasses. Luckily for me, again, there were no bears guarding them! Aimee smelled the carcass before she saw it, and she instantly realized what it meant and the danger she was in. She did not knowingly enrage a bear. When the bear came charging out of the woods, she did exactly what she was supposed to do. She did not go over the cliff on purpose. There was nowhere else for her to go, and ultimately, it saved her life. Had she tried to run, the bear would have killed her. Daniel assumed (because of the time he lived in and his mindset about women) she needed to be rescued, when in fact, she was having fun in the water. That was the humor of that scene. The next time Aimee needed to be rescued was when she went off exploring on her own. As the author, I was trying to portray her as a confident and independent young woman who had no problem hiking on her own and navigating her way to a location she wanted to see. Was it the smartest thing to do? Probably not. Had she done it before in her own time, giving her the confidence to do it? Probably so. She saw the Indians before they saw her. We will never know what would have happened if Daniel hadn’t arrived just then, but there is no indication in the text that the Indians saw her. The instant she saw them, she took measures to hide. Nothing probably would have happened, and the Indians would have gone about their merry way without noticing her. Daniel went after her again because of his assumption and mindset about women based on the time he lived in, that women were helpless and needed protecting. You see, even though Aimee was from the 21st century and had the values and understanding of that time, it would be foolish to assume that Daniel would change his behaviors and treat her the same way a 21st century man would. Aimee realized her mistake, she conceded that she wouldn’t do it again, and she learned a lesson that day. When Aimee disobeyed Daniel telling her to stay away from Elk Runner, who was injured from an arrow – her nursing instincts had kicked in and she was trying to help someone. If she had obeyed Daniel and stayed away, Elk Runner would have died. She knew that her medical knowledge from the future was the only hope he had. Should she have stood idly by, and listened to Daniel and done nothing? A side note here about Aimee being criticized for never listening to Daniel: Aimee just ended a relationship with her fiancé because he was overbearing and controlling. It was a realistic reaction for her to be a bit reluctant to start taking orders from men again, and she mentioned this several times throughout the book. Later, Aimee selflessly jumped into a river to save a child from drowning. There was no one else nearby who could have helped her or the child, and she knew he would die if she didn’t do something and act. She chose to take the chance and try and save the child, putting her own life at risk. She wasn’t expecting Daniel to come along and then save her. She simply did what was in her nature as a medical caregiver. A woman from the 19th century most likely would not have done this. I think even many people (men or women) today would hesitate. She actually did try and communicate to the other children who were present to run back to the cabin to get help, but she knew it would be too late, so she acted. I believe another incident that negative reviews have referred to is when she was kidnapped by the French trappers. Because she was angry and frustrated with Daniel, she decided to go for a swim. Let’s be honest, ladies, have you ever done something or wanted to do something out of anger or frustration? We have never acted in an immature manner when angry or upset at our men, right? I think we can all say that we’ve done that. We don’t have to be proud of it, but this is a realistic characteristic to expect. Even from our romance novel heroine. However, going to the river with the intent to go swimming certainly didn’t cause her to be kidnapped by the trappers. They would have come after her even if she’d sat in front of the cabin, drawing figures in the dirt. Was it her fault that they came to kidnap her? Again, she remained composed during the entire ordeal, even with the threat of being raped, and tried to formulate an escape plan. And when Daniel came to “rescue” her (I would certainly hope ANYONE would attempt to rescue me in that situation! ), she had a quick mind and was able to help Daniel in her rescue. When the Crow warrior cornered her in her own cabin, Daniel had to barter with him. I would hardly think that encounter was Aimee’s fault or of her own doing. I realize that the people who find Aimee weak in these scenes probably prefer that the heroines in all stories are always able to get themselves out of dangerous or precarious situations, without the help of a man; but to me, that isn’t very realistic. I’m not saying women can’t be independent and self-sufficient, because they most certainly can. But this is a romance novel. It’s ok to have your hero be a hero! When Daniel tells Aimee to stay put in the cabin because he knows the trappers are going to show up, some readers may have balked at her response. Agreed, she was reluctant about it because she couldn’t understand why Daniel would lock her away when company arrived. After all, he hadn’t locked her away before, and, he didn’t explain why he wanted her to stay inside the cabin, so she didn’t know what was going on. The scene was written from Daniel’s point of view, and while the reader has knowledge of why he wanted to hide Aimee away, she certainly didn’t know the reason. I hope I have given some clarity to why I disagree with those who find Aimee immature or TSTL (what an awful thing to say about someone…even a fictional someone!) Thankfully, I’ve had more positive responses to her than negative, and most of my readers have told me how much they love her and her strength. I would never change her personality, or the way she responded to the events she encountered, because that would be a completely different story, indeed! Thanks to all who have read, and enjoyed my stories.